Starrett Stump Grinding Releases New Site! Home/News/Starrett Stump Grinding Releases New Site! We are excited to launch our newest update to our Starrett Stump Grinding family. We started with shirts, logos, bizcards and have now updated our website. Please view the gallery page for more images about our past and present work. We look forward to updating everyone with relevant stump grinding information and resources to our page. If you have any questions please contact us via our contact form listed on the website or click to call us on the top of the site. 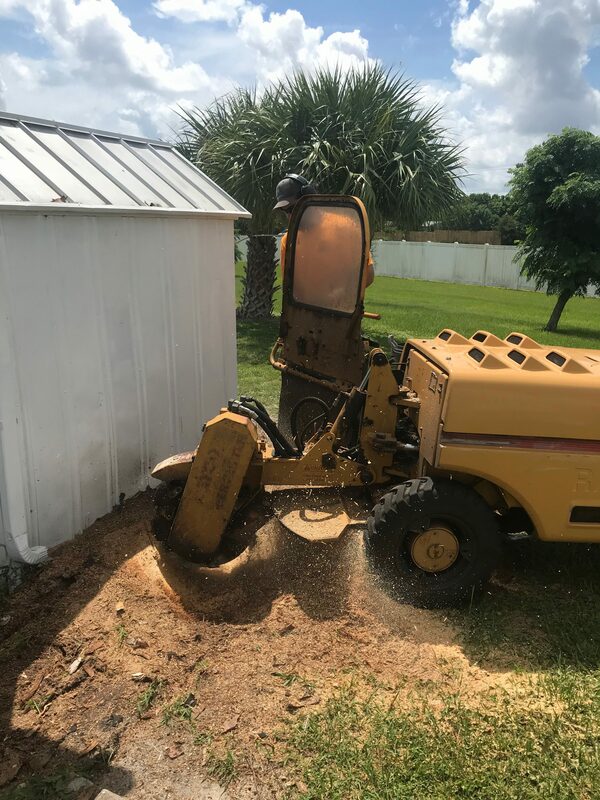 We’re a Tree Service company with over 25 years of professional experience with tree stump removal and tree stump grinding in Melbourne Florida and the surrounding area. With any projects large or small, commercial or residential, Starrett Stump Grinding is here for you. We specializes in hard to access and difficult to remove tree roots & stumps in Melbourne Florida. We’ll give you our professional advice, and go above and beyond to make sure the end result is as perfect as perfect can be. Over the years the Starrett Family have created a tree service business in Brevard county with a large solid customer base that continues to trust and depend on our tree trimming, stump grinding and stump removal services. Our service area includes Melbourne, Palm Bay, Cocoa, Viera, and all of the beaches… basically all of Brevard county. Thank you for visiting and stay tuned for future information.